(Millbrook, NY) Traditional toxicity testing underestimates the risk that pharmaceutical and personal care product pollution poses to freshwater ecosystems. Criteria that account for ecological disruption – not just organism death – are needed to protect surface waters, which are under pressure from a growing population and escalating synthetic chemical use. So reports a new study published this week in Elementa. Wastewater treatment plants are not designed to remove the chemicals found in pharmaceuticals and personal care products (PPCPs). Instead, these chemicals enter waterways where their effects on aquatic ecosystems are largely unknown. Emma Rosi, an aquatic ecologist at the Cary Institute of Ecosystem Studies and coauthor on the study explains, "Some 15 years ago, a landmark study found pharmaceuticals and personal care products in 80% of streams sampled across the US. Additional research confirmed similar patterns globally. The majority of these compounds are understudied, unregulated, and/or deemed 'low risk'. Yet there is a growing body of knowledge that PPCPs disrupt aquatic ecosystems, even at low concentrations." For example, when exposed to antidepressants, fish exhibit altered feeding behavior and can become more aggressive. SSRIs have been found to make tadpoles more susceptible to predation. Antidepressants and amphetamines can alter the timing of aquatic insect emergence. Erinn Richmond, a PhD candidate in the Water Studies Centre at Monash University and lead author on the study notes, "The bottom line is that even at low doses, PPCPs have the potential to disrupt the ecology of a system, leading to broader environmental consequences. Many of these compounds are pseudo-persistent – because we are constantly adding them to our rivers and streams – but there are few studies on how they impact aquatic ecosystems." To assess toxicity, chemical compounds are evaluated with an 'LC50' test. Organisms of a single species are exposed to increasingly high concentrations of a substance until 50% of the experimental 'population' dies. This concentration is used to set environmentally acceptable limits. "Single-organism lethality does not account for the diversity of species in nature, bioaccumulation, or non-lethal but disruptive impacts that compromise ecosystems," explains co-author A.J. Reisinger of the University of Florida, Gainesville. Traditional toxicology tests do not account for the effects of compounds mixing. The reality is that PPCPs rarely appear singly in the environment. Consider the lengthy ingredient list on products like toothpaste, deodorant, shampoo, ibuprofen, or antihistamines. This synthetic chemical cocktail flows into waterways, where the compounds are free to interact in ways that were never tested in a lab. Rosi explains, "If you went to your doctor and mentioned that you were taking 30 different drugs, your doctor would likely tell you to stop. And yet, this is what's happening in the environment. 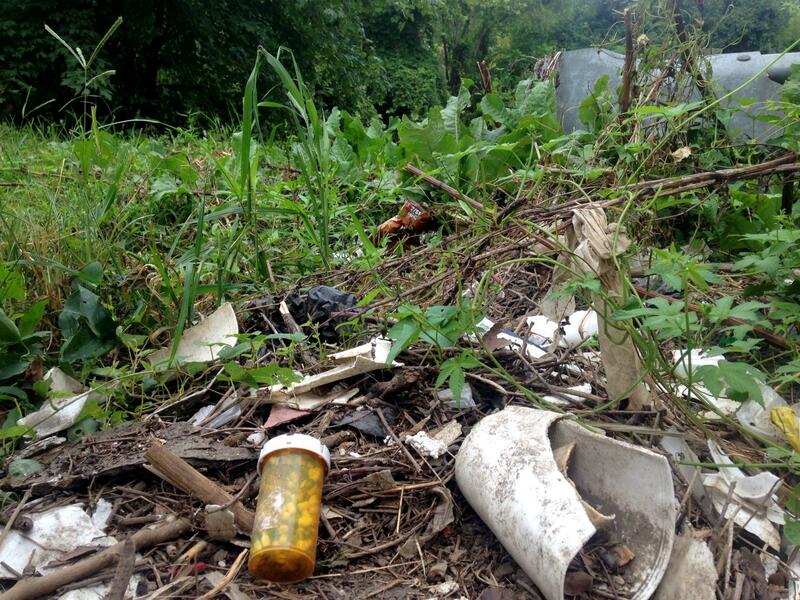 The bugs, fish, plants, and algae – they are all exposed to this mixture of drugs and we don't know the impacts. We should think about how pharmaceuticals disrupt ecosystems, not just whether they kill things." The concept of ecologically disrupting compounds mirrors that of endocrine disruptors. Take for example bisphenol A (BPA), a chemical found in plastic products which can act as a hormone in the human body. If someone consumed BPA, it would take a large amount of the compound for it to be lethal. However, even in low concentrations, it can interfere with the function of the endocrine system and cause adverse health effects. John Kelly, a co-author from Loyola University Chicago, explains, "Like endocrine disruptors, which impact the human body in low, non-lethal concentrations, we argue that low but persistent concentrations of ecological disruptors cause significant, yet not immediately lethal, effects in the environment." The paper's authors outline the need for testing that takes into account PPCPs' potential to disrupt ecological processes across multiple components of aquatic ecosystems. One way to do this is by adding low concentrations of pharmaceuticals to artificial stream communities which include algae, bacteria, and insects – an approach which Rosi and collaborators already employ. Rosi explains, "We monitor the system for any changes. We're not looking to see if all the bugs die, but do they emerge sooner? Does the bacterial community look significantly different? Does the rate of photosynthesis change? Those things are signs of ecological disruption." While this testing is key to better understanding the ecological effects of PPCPs, with so many different chemicals entering the environment, it would be impossible to test and regulate them all. Instead, Rosi says, "We need to focus on the source. Chemicals that we use in our everyday lives enter the waste stream, which is not treated sufficiently. There is a dire need to support our wastewater infrastructure and treatment facilities. Reducing use of products containing these compounds is also important." Richmond concludes: "We want scientists and funding agencies to undertake research focusing on the effects of PPCPs in aquatic environments and the extent to which these substances disrupt ecological processes. Ultimately, we hope that a greater scientific understanding of this issue will lead to increased public awareness of the need to keep these compounds out of our ecosystems."